ZIMBABWE – Lake Kariba is a huge man-made reservoir which lies along the border between Zambia and Zimbabwe. 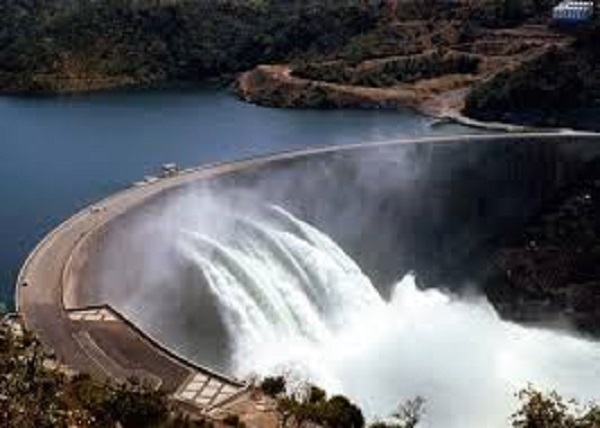 Harnessing the might of the Zambezi River, the Kariba dam was built to deliver more than 800 megawatts of hydroelectric power, more than half of Zimbabwe’s daily peak demand. But over the last few months, output from the generators has fallen to half of that figure. This is because the water level in the dam is too low. Power cuts are already badly affecting the prospects of industrial recovery in Zimbabwe where the economy has suffered badly from the flight of capital abroad. Western investors had started to show renewed interest in the country, but erratic power supplies are likely to chase them away. Economist John Robertson says the shortfall in power generation is simply too big. “A few renewable energy initiatives could make up for 200 megawatts, but this will not be enough to satisfy investors. They want continuous electricity supplies if they are to start new businesses here,” he said. Zimbabwe’s energy sector has seen little in the way of development since independence from Great Britain 35 years ago. It still depends heavily on hydroelectric and coal-fired power stations. Several companies have been struggling to secure licenses to mine coal bed methane gas in the last five years but with little success. “The government appears constantly to be trying to find a way to gain control over any company that sets up any form of natural resource usage. The demands that government is making on potential investors has simply brought all the negotiations to a stop,” Robertson said. He added that conditions imposed by the government were acting as a disincentive. Yet the development potential for hydroelectric power in the country is huge. Other renewable sources of energy could also be profitably explored. Changing weather patterns have already adversely affected inflows into major dams like Lake Kariba. The current El Nino is expected to make things worse. The Inter-governmental Panel on Climate Change (IPCC) considers the Zambezi River basin as one at risk from climate change. Elisha Moyo, principal climate change researcher at the Zimbabwe Ministry of Water, Environment and Climate says the country requires $35 billion (33 billion Euros) to address economic and social issues emanating from the effects of climate change. “The government can only provide a smaller percentage of the money and this leaves a bid funding gap,” Elisha said.